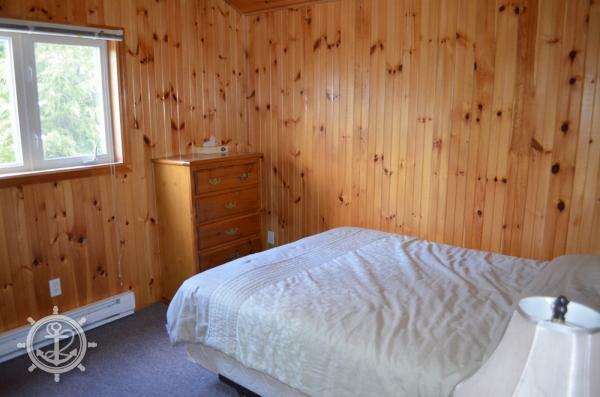 This chalet has pine-finished walls and ceilings. With three bedrooms and a gorgeous open cathedral concept this is the perfect cottage for the whole family! Two of the bedrooms have one queen size bed, the third bedroom has a bunk bed with a double bed on the bottom bunk, and a single bed on the top bed, and there is a pull out sofa in the living room. There are two bathrooms, one a four piece and the other a three piece. 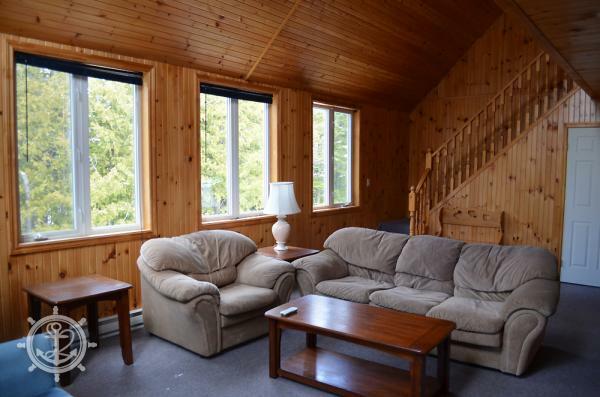 Outside you will enjoy a large private deck and paved driveway. 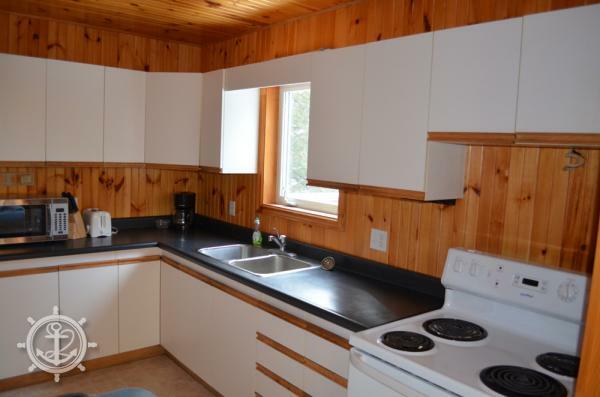 The chalet is located on a quiet street only steps away from the harbour and shops of downtown Tobermory and a public access to the water.